Building the right team is one of the keys to success for for any business, government or not-for-profit. Great leaders can point the way but there is only so much a leader can achieve on their own – it is great teams that achieve success. In this series we look more closely at how to build strong teamwork and collaboration, where organisations go wrong and how to avoid the pitfalls. I’ll show you how to banish your teamwork woes for good. What is the most foundational reason that teams fail? In his book Five Dysfunctions of a Team, Patrick Lencioni shows how trust is foundational to the model of an effective team. This book was personally recommended to me by Mark Powell, CEO of The Warehouse Group in New Zealand. Mark is a ‘CEO of CEO’s’ – The Warehouse Group includes no less than five companies including Warehouse Stationery. In Mark’s view, Five Dysfunctions of a Team is the best book on teams that is available. So it’s worth a closer look. The first and foundational, most important dysfunction of a team is lack of trust. On the flip side, a strong foundation of trust is a major plank for strong performance. Successful teamwork is built on a foundation of trust. Trust enables teams to engage in open debate. In open debate issues and concerns can be addressed – without open debate problems linger and inhibit productivity. Trust saves time. When team members know that their teammates have their best interests at heart, they spend less time following up minor concerns, keeping themselves safe and protecting their reputation. Trust increases ‘inter-dependence’ and collaboration. Admitting your mistakes or personal weaknesses can be hard when trust is lacking – and what would be the point? However sharing personal weaknesses in a trusting environment is a great way for teams to compensate for each other and allocate work so that it is more closely aligned with each others strengths. Trust creates freedom and autonomy. If you have been reading my articles for a while you know that I hail the advantages of autonomy for business owners and staff members alike – autonomy is inherently motivating for most people. 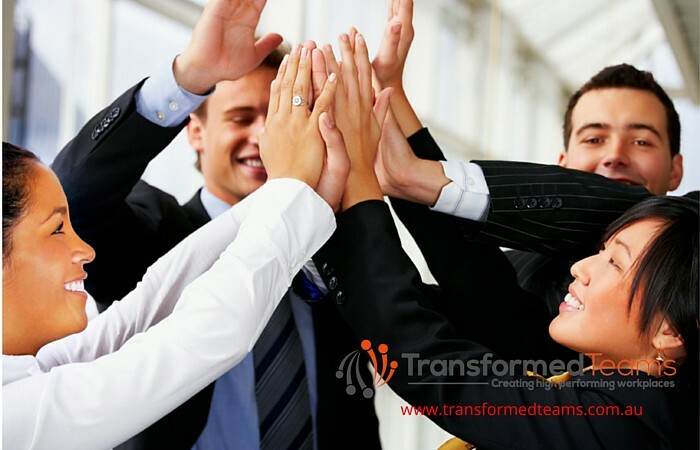 It is also found to a high degree in high performing teams. Trust in people’s competence and ability to deliver is what enables team members to work autonomously. Trust enables learning. Working in an environment of trust, people are more likely to receive new information, even information that is challenging or requires a change of mindset. Overall, trust improves efficiency and productivity so that a team can deliver its results now and foster growth for the future. Trust is more than worth the investment. If you’re looking for a recent guide on how to create trust, Stephen Covey describes 13 behaviors that create trust as part of his book ‘The Speed Of Trust’. Meanwhile, look out for the next article in this series, in which we’ll look at how to establish an environment of healthy conflict within a team.